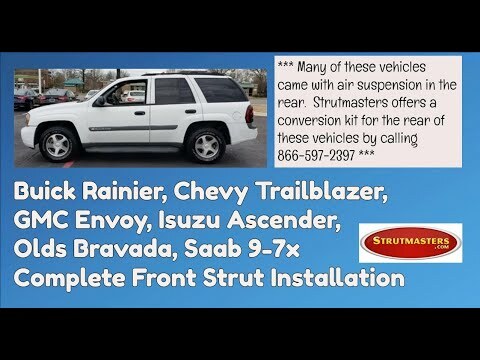 Strutmasters 2002-2006 Envoy XL & XUV And Chevrolet Trailblazer EXT Heavy Duty Rear Air To Coil Spring Conversion Kit is the perfect solution to your air suspension problems. Designed to be very affordable, you can convert your ENTIRE air suspension to use passive coil springs for way less than the price of replacing one Original Equipment air springs. 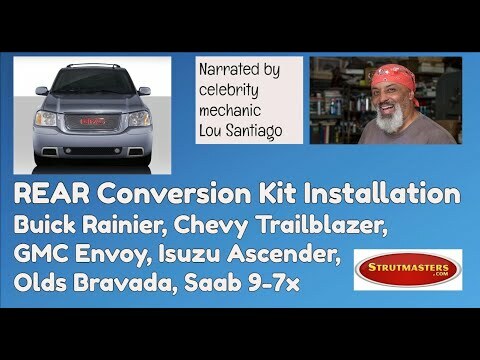 This Kit Intended For Extended Wheelbase XL And XUV Models Only. 2002-2006 Envoy XL And XUV Rear HD Suspension Conversion Kit (GB1R02) is the perfect solution to your air suspension problems. Designed to be very affordable, you can convert your air suspension to use standard. Our customers make the switch to a Strutmasters suspension conversion kit because it is an affordable, direct replacement option that upholds rigorous quality standards. The kit, manufactured in America, eliminates the faulty electrical components that make up the original air suspension system in the 2002-2006 GMC Envoy. It includes two cold-wound steel Eibach springs that go right in place of the factory rubber air springs. 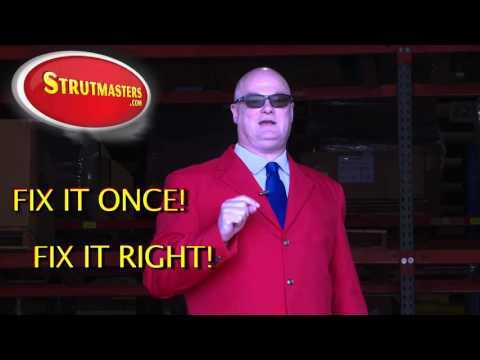 Thanks to detailed installation instructions, installation videos available online, and Strutmasters technicians available for support purposes, the kit can be installed in as little as one hour per wheel. The kit saves Envoy drivers time, frustration, and money when they are dealing with an all-too-common failed air suspension system. 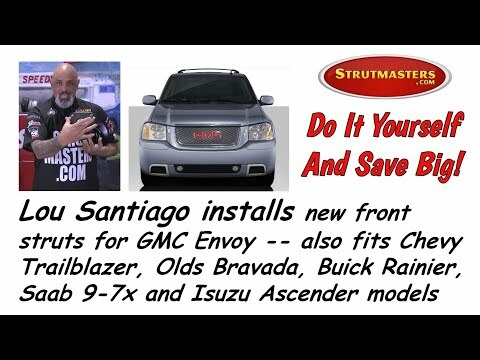 If the 2002-2006 GMC Envoy XL & XUV is unable to reach and maintain its proper ride height, its air suspension system is probably going bad or leaking. Certain signs will indicate a failed air suspension system. The most noticeable is a sudden loss of three to five inches of ride height in the rear of the vehicle. This normally occurs when the onboard air compressor is no longer able to make enough air to keep the rear air springs inflated to the proper PSI. Tiny cracks in the rubber portion of the air springs cause leaks in the system and lead to the overworked compressor and loss of height. Another obvious sign is an illuminated suspension warning message on the instrument panel. = TOTAL: Over $2,400 (and that doesn't even include replacing electronic components that are known to fail such as the height sensors). Choosing the rear air-suspension conversion kit for the 2002-2006 GMC Envoy XL & XUV saves YOU over $2,180! 2002-2006 GMC Envoy XL & XUV Rear Air Springs (x2)- Commonly referred to as air bags, a plastic and rubber bag that uses pressurized air as a cushion (instead of a metal coil spring) to support the weight of the rear of the vehicle. Tiny cracks in these rubber air springs are the number one cause of all air suspension leaks. Since all air springs go bad at about the same rate, if one is leaking, the others will not be far behind. For a proper repair, all of them need to be replaced at the same time. 2002-2006 GMC Envoy XL & XUV Front Struts (x2)- a type of shock absorber; has metal tubing filled with gas-charged hydraulic fluid that dampens vibration and controls bouncing caused by travel on rough road surfaces. 2002-2006 GMC Envoy XL & XUV Shock Absorbers (x2)- a metal tubing filled with gas-charged hydraulic fluid that dampen vibration and control bouncing motion caused by travel on rough roads. 2002-2006 GMC Envoy XL & XUV Height Sensors (x2)- a linkage located near each wheel of a vehicle that constantly measures the height of the vehicle and reports this information back to the control module. The ride height sensor is a moving part, and like all moving parts, they will eventually wear out. 2002-2006 GMC Envoy XL & XUV Air Lines- Tubes that carry compressed air to the rear air springs. 2002-2006 GMC Envoy XL & XUV Solenoids (x4)- These plastic and metal components regulate the air pressure for each air spring. Solenoids start to leak as they wear out, causing the system to lose PSI and ride height. This will create an excessive work load for the onboard compressor, trying to keep up, and it will lead to its total failure. 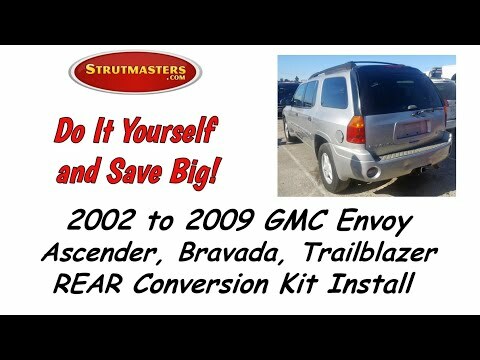 2002-2006 GMC Envoy XL & XUV Compressor- Creates and sends pressurized air to the rubber air springs in the rear. When the air suspension starts leaking, the compressor (also known as a pump) starts working harder to try to keep the system inflated. By the time air suspension leaks down completely, the compressor will either have failed or be well on its way to full failure. 2002-2006 GMC Envoy XL & XUV Suspension Control Module- A computer which is responsible for the operations of the air suspension system and maintaining the vehicle's correct ride height. 2002-2006 GMC Envoy XL & XUV Rubber O-rings- Although they are the least expensive parts of the air suspension, they are responsible for maintaining the seal where all of the air lines connect. Be sure to replace the O-rings when repairing any air suspension system.